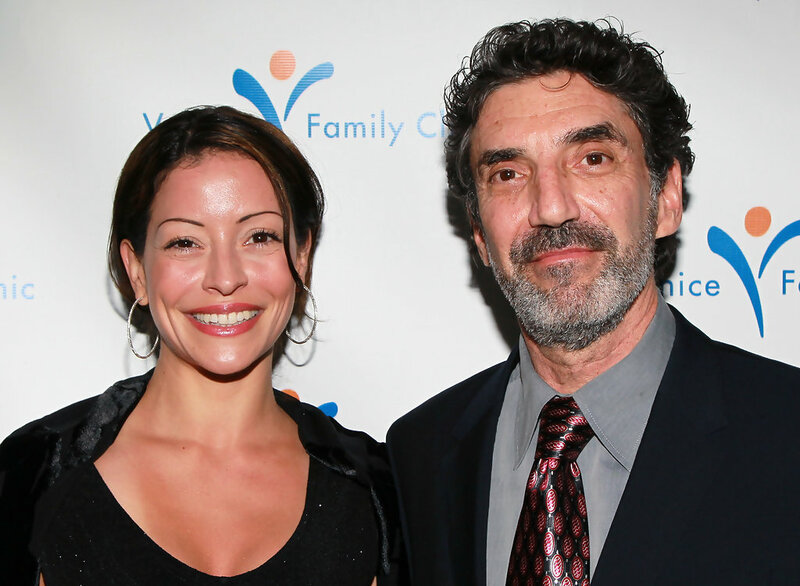 Is Emmanuelle Vaugier Married, Who Is The Husband, What Is Her Net Worth? As both an actress and a model, Emmanuelle Vaugier has been able to cement her name as a successful woman in extremely competitive entertainment industries. Her success joins the long list of Canadians who have crossed the border to become popular and notable faces in Hollywood. She has starred across film and television, delivering memorable performances for the audience to enjoy on both the small and big screen. From Two and a Half Men to Secondhand Lions where she appeared alongside heavyweights like Michael Caine and Robert Duvall, Emmanuelle Vaugier is certainly an actress of repute. Learn about the actress and her career below. Emmanuelle Vaugier was born on the 23rd of June, 1973. Although she is Canadian by the virtue of her place of birth, she was born to parents who were French immigrants; they migrated to Vancouver in British Columbia. As the daughter of French nationals, she was raised in the culture of her parents’ heritage, which includes the language which she is very fluent in. She was also raised as a Roman Catholic. For her education, Emmanuelle attended Crofton House School where she spent 10 years of her formative education before she transferred to Magee Secondary School whose school program was compatible with her growing entertainment career. Emmanuelle Vaugier also started her modeling career while she was in high school. Before she became an actress, making it her dominant profession, she was a model for several years, during which she modeled in Japan for three years. After Japan, Emmanuelle returned to the West and made her debut in front of a camera as an actress in 1995. Her first credit as a professional actress was in A Family Divided, where she played Rosalie Frank in the 1995 television movie. It was the start and introduction of Emmanuel Vaugier to Hollywood executives, talent scouts, agents and managers that a new talented actress was on the scene. She followed up her debut appearance with another in the same year on the show, Highlander: The Series, appearing in an episode as a guest star. With 1995, her debut year behind her, Emmanuelle Vaugier moved forward with her career, appearing in a recurring role as Noella D’Angelo in Madison. Before she made her feature-length debut on the big screen, Emmanuelle appeared in a number of television movies, starring in four of them before she made her feature film debut with Hysteria in 1998, playing the character of Veronica Bloom. It was the first of what has been several film credits for the French-Canadian. She has starred in films like the Saw series, appearing in two of them as Addison Corday. Also, she has appeared in a number of horror films outside of the Saw series such as House of the Dead II, Mirrors 2, The Fear: Halloween Night and much more. Back on television, Emmanuelle Vaugier also has an extensive filmography that includes several notable shows. Supernatural, Two and a Half Men, One Tree Hill, Smallville, and Veronica Mars are just some of the notable shows Vaugier has credits in, with most of them as a recurring character. So far, the actress has been able to appear in over 60 television shows and movies. In other mediums, Emmanuelle Vaugier has voice roles in two video games, Need for Speed: Carbon and Hellraid while she provided motion capture for the video game, Dying Light as the character, Jade. In her many years in the industry, Emmanuel Vaugier has had quite the eventful relationship life. The actress was in a relationship with comedy writer and director, Chuck Lorre; sadly, their relationship only lasted two years, from 2010 to 2012. She has been in relationships with other men in the industry including Jason Gray, Josh Cooke, and Sean Penn. However, evidence suggests the actress, who has not tied the knot with any of her former beaus, is currently single. You don’t have credits in over 60 films and television projects without accruing some significant wealth. Emmanuelle Vaugier, who has been working in the entertainment industry since she was a teenager, firstly as a model and now as an actress, has been able to accrue a net worth of $5 million. She is also reportedly earning an average of $3.7 million in salary from the various shows she appears in yearly.